Have a few moments and a cup of tea? Here are a few good things you might want to peruse :). The truth about discontentment...THIS is a good read from Moments...from Becky Keife. red. ink. Grace is an undiscovered gem. Her graceful writing is not only inspiring, but flows like a painting. I love, love her booklist for this year. Hope has the most delectable recipes....and, well, who doesn't love a waffle on a weekend morning? Amongst the Lovely Things is having a "Weekends with Chesterton" series. I had heard of Chesterton, but am finding him to be an amazing writer. 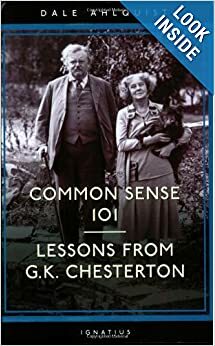 I bought my first book, Common Sense 101, Lessons from G.K. Chesterton...I'll admit, mostly because I thought the cover was so cute. Look at that darling couple and their Scotty! It has been a great read so far. I have so many blogs that I love to visit regularly. Here are a few I haven't mentioned before. Valentine's Day is less than a month away. Hard to believe...I still feel like it's Christmas. Follow Julia's board Valentine's Day on Pinterest. Looking for a few good family friendly meals? These things you have shared are surely just that....'good things'!! and visited over at Amongst Lovely Things....I just love all the bloggers you listed and was totally inspired by each one! Most of all though I just love the picture on the cover of G.K. Chestertons book as we had a Scotty for 16 years and believe you me he was a wonderful dog...I will never forget him...he was part of our family...his name was Captain Farley...my daughter named him and grew up with him like a brother...I'm going to get the book and of course...I'll have to make a batch of those waffles shared by Hope...a favorite breakfast around here.....yummmm! Thanks for sharing truly 'good things'! I'd love a big bit of that waffle. Great pic! 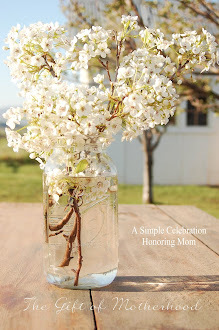 Thank you kindly for your bloggy love. That was very sweet of you, Julia.